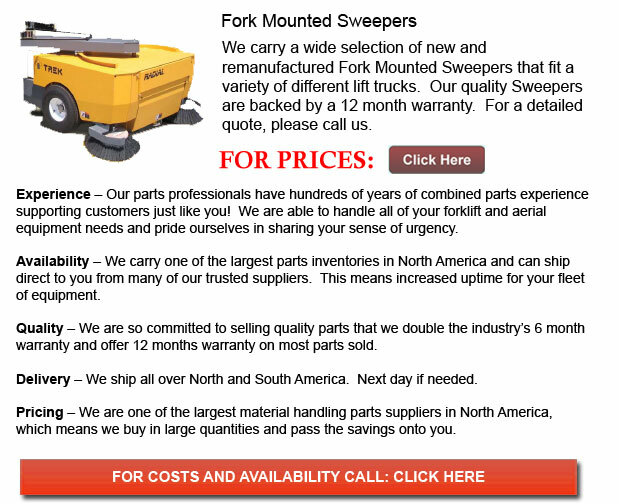 Fork Mounted Sweeper - The lift truck mounted broom accessory could actually make industrial sweeping tasks a lot easier. Intended for use on either wet or dry surfaces, this mounted broom attachment could squeegee water and push snow with great ease. This particular accessory is often used to be able to clean debris from docks, parking lots, warehouses, construction sites and almost anyplace it is required. The forklift sweeper is a low maintenance accessory that make use of quick-tite tine products to effortlessly connect to the lift truck.